Sorry for the long break. 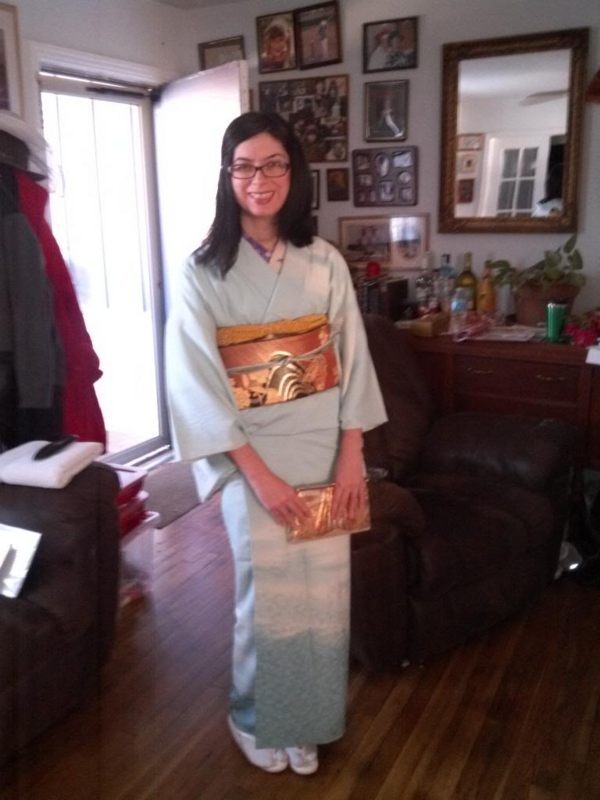 I kinda forgot about this blog but I have worn kimono a few times and I have koto news! 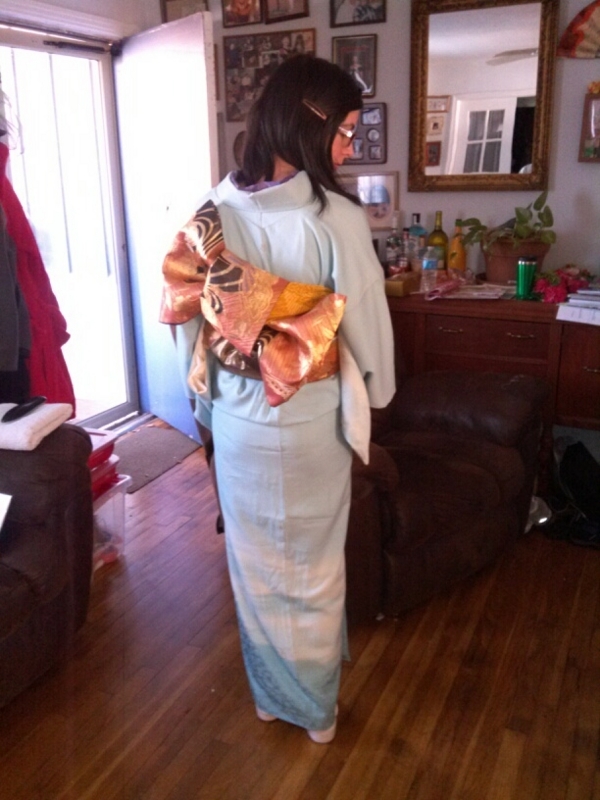 This is the outfit I wore to the Fort Worth Japanese Society New Years Luncheon this year. I chose this houmongi because the soft blue and gentle white pattern reminds me of winter. I thought that I should try to dress it up because it was New Years, so I chose this formal fukuro obi and a partial shibori obiage with a flower pattern. It's not very traditional but I hope it works.